It is easy and high scoring. Roughly 1/4th to 1/3rd of the XAT 2019 exam paper is going to be based on Decision Making. 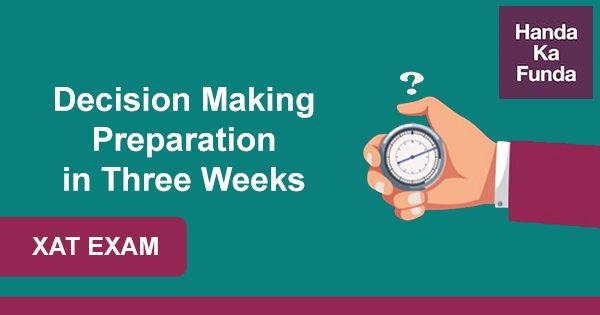 What all to cover in XAT Decision Making in three weeks? It would be wise to spend some time reading these blogposts to build your concepts for Decision Making. If you are enrolled in our online XAT Decision Making course, please go through the first couple of sections. Covering the concepts, going through the reading material should be the first step in your study plan for Decision Making in the last 3 weeks. Past year XAT papers are a great resource to prepare for Decision Making. As a matter of fact, I believe they are the best. Decision Making started appearing prominently in the XAT exam from 2008. That gives you a decade of papers to go through. Those have some really good quality questions that will teach you where you stand and a few things could be better than that. 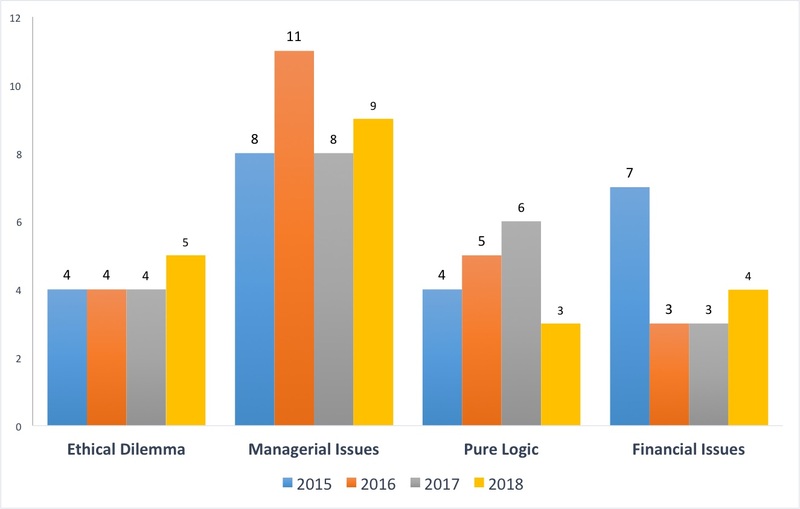 We have compiled the past year XAT papers of Decision Making and given it for download as well. This would give you a database of approximately 150 questions to help you prepare Decision Making for XAT. As a part of our online XAT Decision Making course we have video solutions for all these questions. The idea is, that as a XAT aspirant, it is not just the answer that matters but you also need to understand the method and the process that was followed to derive the answer. Going through the previous year XAT papers would probably be the most time consuming part of your study plan for Decision Making. The 5 sectional mock tests have 20 questions each. All these questions come with detailed solutions so that students are able to understand the logic behind the given answers. Same is valid for the 5 full length mock tests for XAT 2019 exam. All questions, and not just the Decision Making ones, come with detailed solutions as well. A combination of these two provides a XAT aspirant with 200+ unique and new questions on Decision Making to test himself. You can check out a mock test on Decision Making to understand the kind of questions that we have as a part of our online course for XAT Decision Making. It is important to have these tests as a part of your XAT study plan so that you know where you stand and what you can do to improve. Go through all the Decision Making concept videos in the course. I hope with this XAT Study Plan you will find success in the Decision Making section. Let me add, it is easy to plan but it is hard to execute it. You should focus on the execution part of things.